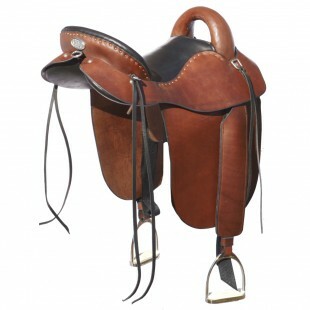 Category: Endurance Trail Saddle Series, Steele Trail Saddles. Posted in Endurance Trail Saddle Series, Steele Trail Saddles. Tagged as classic, custom tree & saddle, edition, endurance, endurance trail saddle, english, fenders, leather, lightweight, limited, saddle, steele, steele saddle, trail, western. 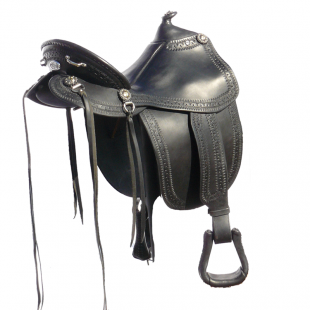 Endurance English Trail Saddle Model New from Steele Saddle: This endurance trail saddle is made for our endurance riders who want a comfortable yet light saddle for long trail riding yet do not want to sacrifice quality in their saddle. Weight on this saddle is 17-23 pounds. You can order other options such as leather colors, hardware choices, and leather or seat color which will take additional time to ship. 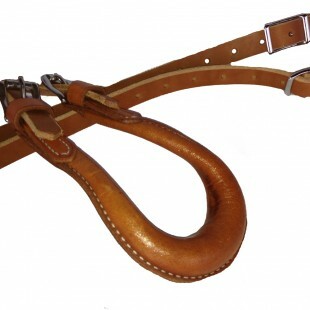 Also, shop our Steele Saddle accessories for other options such as endurance stirrups, cantle bags, hoof picks, and equestrian knives.